A driver has been arrested following a crash near Great Yarmouth. Police were called to the A143 at Fritton and arrested the driver on suspicion of drink-driving. Great Yarmouth police said the driver was more than twice the drink-drive limit. 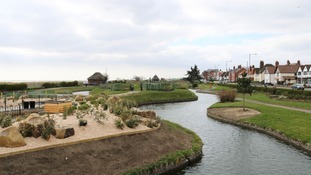 Since June 2018, the Grade II-listed seafront park has been closed for a flagship £2.7m restoration. Detectives investigating the death of a girl in Gorleston last summer have confirmed no further police action will be taken against two people arrested in connection with the incident. Ava-May Littleboy, three, died after being thrown from an inflatable trampoline on the Lower Esplanade on Sunday 1 July 2018. A man and woman, aged in their 40s and from the Great Yarmouth area, were arrested in July on suspicion of gross negligence manslaughter. Following extensive enquiries and consultation with the Crown Prosecution Service, a decision has been made not to proceed with any manslaughter offences against any individual or company. Detectives from the Norfolk and Suffolk Major Investigation Team will now liaise with the coroner in respect of the inquest and support Great Yarmouth Borough Council, which will review the evidence with a view to prosecuting under health and safety legislation. A dog has died after it was attacked by two other pets on a footpath near Breydon Water outside Great Yarmouth. Police are appealing for information about the attack, which happened sometime between 4.30pm and 5pm on Thursday 7 February 2019 as a woman was walking her dog along Breydon Water near Great Yarmouth-Broadland Rugby Club. Two dogs, described as being a yellow Labrador and a brown Staffordshire terrier, attacked her dog. It was taken to the vet for treatment; but had to be put to sleep as a result of the injuries. Police are keen to trace the owner of the two dogs and speak to anyone who may have information regarding this incident. Dean Otoka, 38, and Alfie Curtis, 21, admitted supplying Hannah Williamson - who later died - with amphetamine. Yarmouth is in the top five places for streaming the New Year classic 'Auld Lang Syne'. The new development would be built on the site of the current Marina Centre. Plans have been unveiled for a new water and leisure complex on Great Yarmouth's Golden Mile. Councillors will meet next week to discuss the plans. If they get the go-ahead work is likely to begin late next year. Council leaders say the development would be a game-changer for the Golden Mile and boost the local economy.